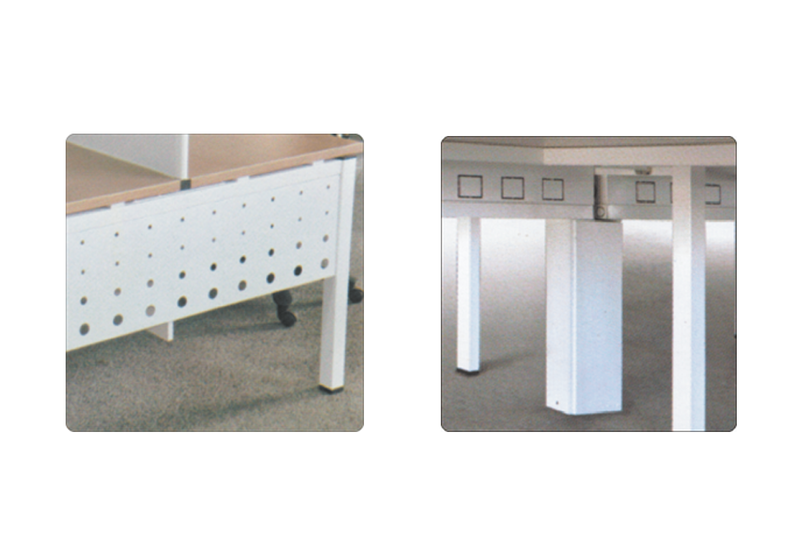 Indo Innovations understands how necessary it is to have a functional table in an office space. Not only tables’ help in balancing the room and creating a visual centre but they are also handy in the sense of storage and accommodation. In workspaces where one has to do most of his work from a table, having a versatile table is must. That is why we have dedicated an entire range to office tables in our Droit series. Made with materials which are strong and long lasting, our office tables have multiple appendages and features which increase its practicality. 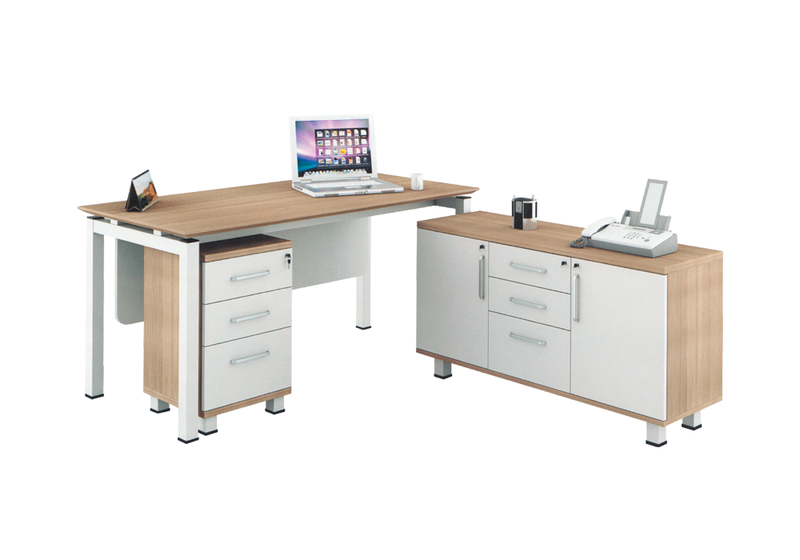 Our tables are designed keeping a modern workspace in mind and look light weight and classy. 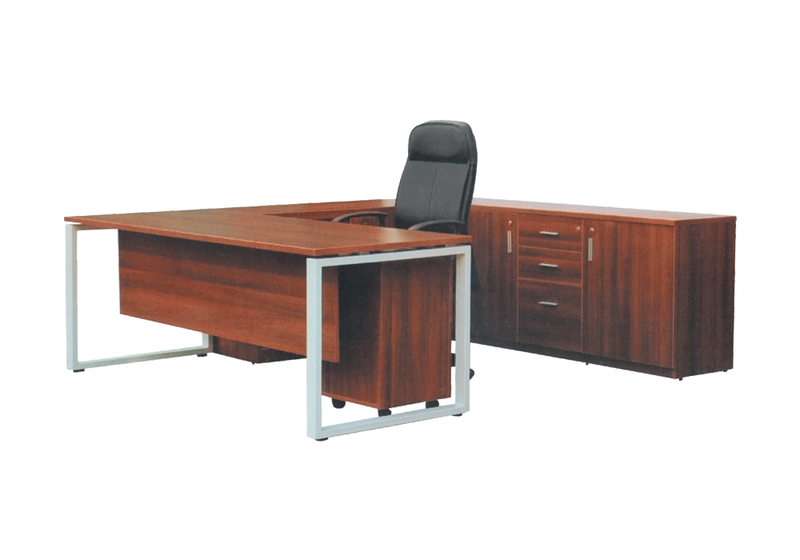 Available to purchase in Delhi NCR, all over India, our office tables are a class apart in terms of their functionality. ERU - Three Drawers & Two shutters. Back Storage - Two shutters with Three Drawers.